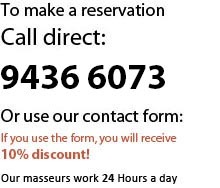 Now we offer a 10% discount if you use our form on the right instead of call!! The total time of the service must be at least 60 minutes. You can make any combination.